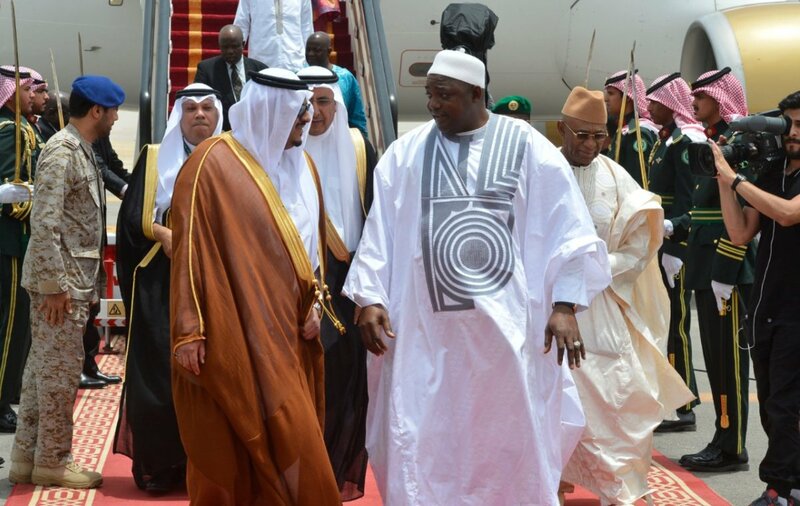 Gambia’s President Adama Barrow will make his first international trip to Sudi Arabia for the Riyadh summit where he will meet with American President Donald Trump. On Sunday President Trump will try to address these concerns in a speech to more than 40 leaders of Muslim nations in which he will call for a united stand against extremism and intolerance according to the BBC. Sudan’s President Omar al-Bashir, who is wanted by the International Criminal Court, will not join the Islamic summit in Saudi Arabia with US President Donald Trump, his office said Friday. “President Omar al-Bashir has apologised to King Salman of Saudi Arabia for being unable to attend the Riyadh summit,” a statement from his office carried by the official SUNA news agency said. Bashir’s plans to attend the Sunday summit of Arab and Muslim leaders in Riyadh had drawn strong criticism from Washington according to Ahram.